Hey everyone! Happy Thursday! Today is our last guest post for the week and we are closing it out with a familiar face - Alyson from Crushing on Clothes! 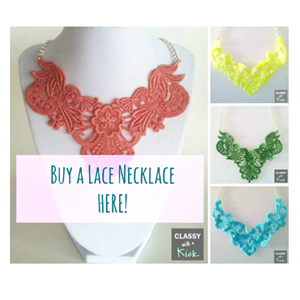 You might remember Alyson from this lace necklace feature post - she won the contest and did a fab post while wearing the necklace! Alyson is a Seattle blogger, like Elise, and has impeccable taste. She has great DIYs and super cute outfit posts. She even does manicure posts once a week! So fun! Hi! 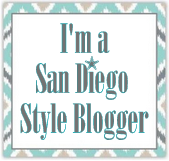 My name is Alyson and my blog is Crushing On Clothes. 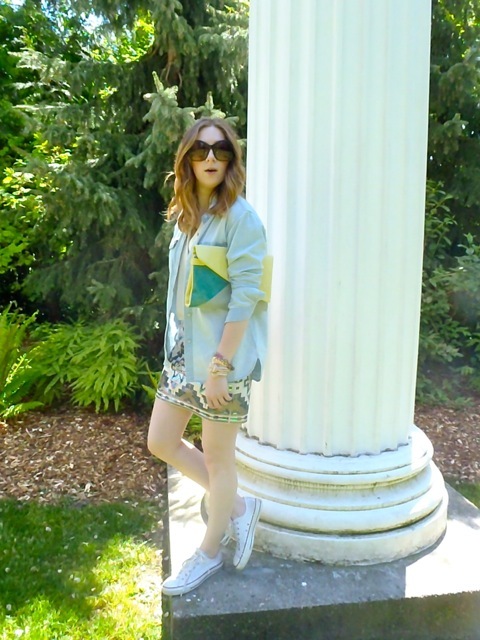 I produce a personal style blog and have been born and raised in Seattle, Washington. 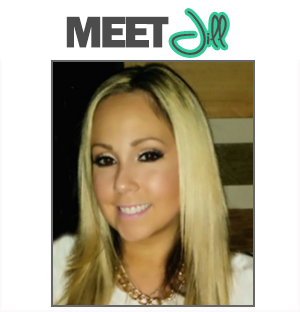 I am thrilled that Jill asked me to guest blog for her, because I love guest blogging and love to get to know other people :) I hope you come say hi on my blog and enjoy my outfit! I definitely dress trendy, with a masculine meets feminine aspect. 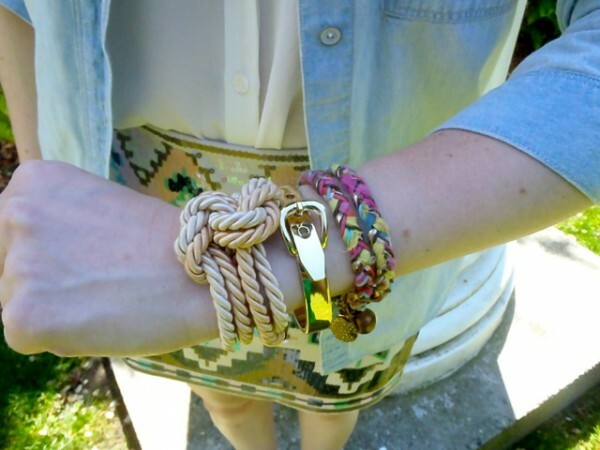 I love layering, lots of color, stacking jewelry, and mixing prints. The skirt is sequins, but I love wearing it in the daytime because of the fun colors. I dressed it down with some chucks (or converse, whichever you prefer) and a chambray shirt to add that masculine detail. These photos were taken at the University of Washington, and I love this backdrop. The pilers remind me of old Greece, and I think this would be a gorgeous backdrop for wedding photos. I'll be back on Monday! Happy early weekend!